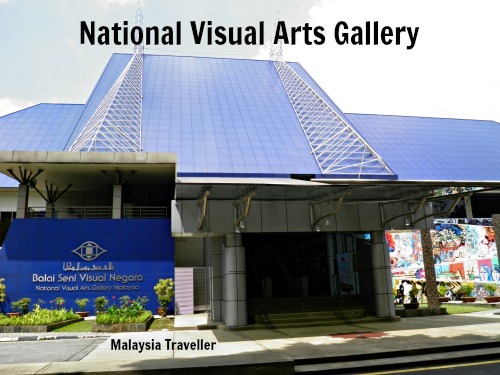 National Visual Arts Gallery is Malaysia’s official art gallery, housed in a striking modern building with a blue glass pyramid roof located adjacent to Lake Titiwangsa in northeast Kuala Lumpur. It was opened in 1998 with the aim of becoming the nation’s leading centre for the development of visual arts and a repository for the national collection. It replaced an earlier National Art Gallery created in 1958 which was located first in Jalan Ampang (now the Malaysian Tourism Centre) before it moved to Jalan Sultan Hishamuddin (now the Majestic Hotel). Photography is not allowed inside, apart from the entrance lobby, so my photos are mainly of the exterior. In the central atrium, a continuous spiral ramp takes visitors up three floors, a modernist design probably inspired by the one in the Guggenheim Museum in New York. 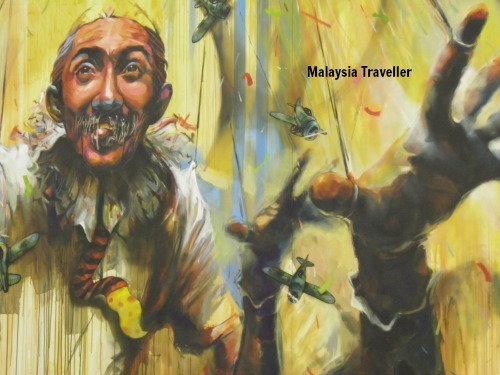 The gallery has a permanent collection of 4000 art works by renowned Malaysian artists and foreign pieces. Notable displays include batik art, pop art. On the ground floor, the National Portrait Gallery houses the temporary exhibitions. Workshops and art classes are staged periodically. In the forecourt outside the gallery are a couple of glass walled art cabins where paintings can be viewed and purchased. I was not over-impressed by many of the art works on display though there were some very good items. Much depends on personal tastes of course. The temporary galleries are frequently refreshed which is good. The gallery is free of charge so local residents can revisit often. The museum is open daily from 10am to 6pm. 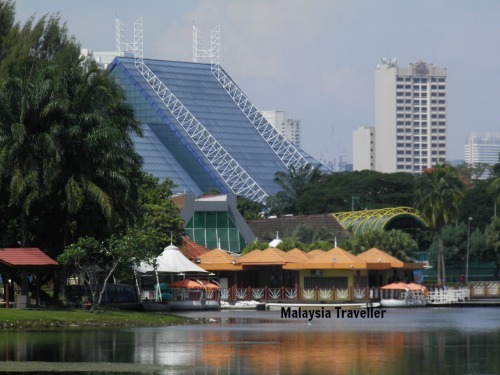 I have marked the exact location on the map on my Top KL Attractions page. It is somewhat off the beaten track for most tourists so it receives less visitors than it deserves. Lake Titwangsa. The gallery backs onto this attractive lake park with a wide range of things to do for the whole family. Istana Budaya (National Performing Art Theatre) is right next door to the gallery. National Library. A short walk away.